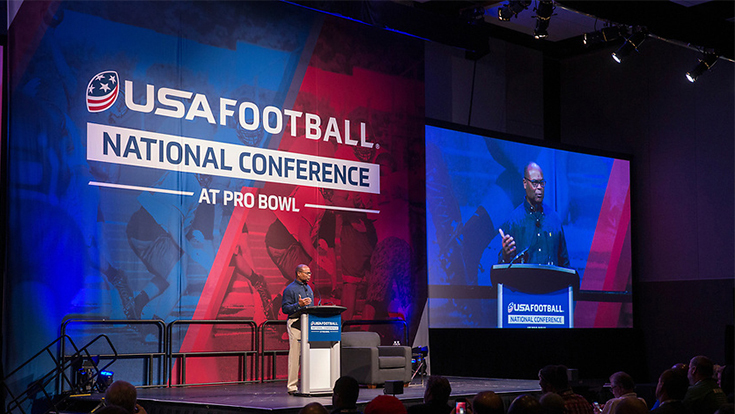 USA Football&apos;s National Conference is the event for you. Now in its eighth year, the opportunities to come together, network and learn with your peers are unlimited. This is the ultimate football conference — but don’t just take our word for it. Check out what fellow coaches and administrators had to say about attending the Conference in the multi-part series National Conference: Why I Attend. Jeff Glenn is a veteran when it comes to National Conference, having attended each year to help better his program — the Jeffco Midget Football Association. You get to meet and network with commissioners from across the country. Overall, Commissioner Glenn continues to come back to National Conference every year because he leaves with new information to improve his league.